It’s been three months since Colorado flipped the switch on its recreational marijuana industry. During that time, the entrepreneurs at the forefront of retail cannabis have learned valuable lessons about how to operate in the new market. Everyone in the retail cannabis industry made mistakes during the industry’s first days and weeks. With hindsight being 20/20, MJ Business Daily spoke with a number of business owners to discuss what they would have done differently, if given the chance. Brooke Gehring was one of a handful of entrepreneurs who was ready for business on January 1. Her Bud Med/Patient’s Choice store in Edgewater did not struggle with inventory issues with flowers, since Gehring transferred over a sizable amount of her available medical inventories. But Gehring said she wished she would have opened her other two Bud Med/Patient’s Choice stores on January 1 as well. The brand’s largest store, on South Broadway, is expecting to receive it’s recreational license by mid-April. Gehring said she wishes she would have finished remodeling her other two stores early in 2013, to avoid having to do the work during the first months of retail sales. 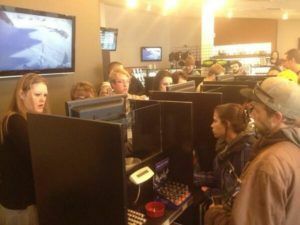 A common complaint from shop owners during the first weeks of retail marijuana sales was the shortage of edibles and infused products, due to the huge demand by recreational customers. Retailers were allowed to transfer a percentage of their medical inventories into recreational, but once those products ran low, many stores could not stock them. Multiple cannabis professionals said the problem was knowing which edibles and infused products companies were open during the early days of cannabis. There was no list of licensed wholesalers for these products, so many shops scrambled to create relationships with local or regional manufacturers. Andy Williams, owner of Medicine Man, was praised for the way he prepared his business for the transition to recreational marijuana. Williams redesigned Medicine Man’s interior to better accommodate the crowds, and also transferred enough cannabis over so that he did not have to impose arbitrary purchasing limits. But Williams said the huge crowds of retail customers in January scared away many of his medical patients. He said medical patients were allowed to bypass the lines, however he did not do a good enough job at letting them know. Another common response from business owners was the desire to have invested in their business before the retail market opened. Construction of new grow operations, renovations to retail centers and expansion are expensive propositions, however they also could help business owners deal with inventory issues and crowds. Toni Fox, owner of 3D Cannabis Center, said she would have built out her growing operation a year in advance of retail cannabis. Fox saw her sales jump substantially after January 1, but her business quickly ran low on inventories and had to turn customers away. Finally, cannabis professionals said they wished they could have had better vendors for child-resistant packaging before opening on January 1. Many of the state-mandated packages did not arrive in the mail in time for retail cannabis to begin, which prompted companies to seek out alternatives. But even after the initial hiccups subsided, business owners complained about shortages of bags and plastic containers. Had they ordered in bulk several months out, however, the process could have been easier. 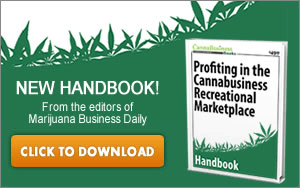 The April 2014 issue of CannaBusiness Magazine will cover successes, hiccups and lessons learned from the first weeks and months of recreational marijuana sales in more depth.